Taking the lead right from the start, Brandon Watson didn’t look back en route to winning the Autumn Colours Classic Pro Late Model feature on Sunday at Peterborough Speedway. Brandon Watson won the first heat ahead of Dan McHattie, J.R. Fitzpatrick, Andy Kamrath, Cayden Lapcevich, Connor James, Hudson Nagy, Gord Shepherd, and James Horner. J.R. Fitzpatrick won the second qualifier ahead of James, Lapcevich, McHattie, Kamrath, Nagy, Shepherd, Horner, Brent Wheller, and Watson. 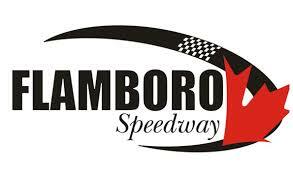 Come feature time, Brandon Watson started pole ahead of J.R. Fitzpatrick, Dan McHattie, Treyten Lapcevich, Connor James, Andy Kamrath, Hudson Nagy, Gord Shepherd, James Horner, Brent Wheller, Dwayne Baker, Nick Goetz, Ryan Kimball, Steve Laking, Rick Spencer-Walt, Chad Corcoran, and Danny Benedict. The feature did not start off innocently with contact off turn two between Goetz and Kimball. Watson jumped out to the early lead ahead of Fitzpatrick, McHattie, Lapcevich, Kamrath, James, Nagy, Horner, Baker, Shepherd, Wheller, Laking, Corcoran, and Benedict. Laking started to move forward, passing Wheller for 11th on Lap 8. Wheller now ran 12th ahead of Corcoran, Benedict, Goetz, Spencer-Walt, and Kimball. Shepherd also began to move forward, passing Baker for ninth on Lap 22, and bringing Laking through with him. Kimball would head down pit road, ending his race early. With 24 laps on the board, Watson led Fitzpatrick, McHattie, Lapcevich, Kamrath, James, Nagy, Horner, Shepherd, Laking, Baker, Corcoran, Benedict, Goetz, Wheller, and Spencer-Walt. Shepherd continue to move forward, passing Horner for eighth on Lap 31, bringing Laking through with him. The first caution came out on Lap 31 for Wheller spinning in turn four. Under the caution, Spencer-Walt took the opportunity to come down pit road. Watson got a good restart ahead of Fitpatrick, McHattie, Lapcevich, Kamrath and James, but the caution was back out again on Lap 44 for Horner going around. Spencer-Walt would then go off the track, done for the event. Watson got another good restart ahead of Fitzpatrick, McHattie, Lapcevich, Kamrath, Shepehrd, Laking, James, Corcoran, Benedict, Horner, Nagy, Goetz, and Wheller. The race would run clean all the way until Lap 60 when the competition yellow came out, allowing teams to make minor adjustments and add fuel. Watson got another good restart ahead of Fitzpatrick and McHattie as Kamrath moved up into fourth ahead of Lapcevich and Laking. Kamrath then passed McHattie on Lap 63 for third, bringing Lapcevich, Laking and Shepherd through with him. James was next to pass McHattie, but there’d be contact, resulting in a flat tire for James and the fourth caution at Lap 65. The restart saw a battle for the lead between Watson and Fitzpatrick, with Watson keeping the top spot ahead of Fitzpatrick and Kamrath. James would spin Wheller in turn four on Lap 69 as he tried to make his way back through, but the race stayed green without a yellow flag. Meanwhile, Lapcevich headed down pit road a lap later with a rear-end issue. This allowed Laking to move up into fourth ahead of McHattie, Shepherd, Nagy, Benedict, Corcoran, James, Horner, Goetz, and Wheller. Corcoran would then pass Benedict on Lap 84 to take eighth. Kamrath tried to pass Fitzpatrick for second a lap later, but was unable to complete the pass. With 86 laps complete, Watson led Fitzpatrick, Kamrath, Laking, McHattie, Shepherd, Nagy, Corcoran, James, Benedict, Horner, Goetz, and Wheller. Shepherd would then get by McHattie with 28 laps to go for fifth, while Benedict headed down pit road a lap later with a problem. Nagy was then able to get by McHattie on Lap 95 for sixth, with Goetz spinning McHattie two laps later for the fifth caution. The final restart saw the field string out single file, with the fan’s attention being caught on Lap 103 when Laking climbed the backstretch wall, which allowed Shepherd to move into fourth. Then with eight laps to go, Wheller spun in turn four all by himself. Brandon Watson picked up the victory with Andy Kamrath in second following a late-race pass on J.R. Fitzpatrick. Gord Shepherd finished fourth, followed by Steve Laking, Dan McHattie, Hudson Nagy, Chad Corcoran, Connor James, James Horner, Nick Goetz, Brent Wheller.